1 – You can’t get strong without the big lifts! Saying that you can’t get strong without the bench press, squat, and deadlift is an example of how people confuse training methods with universal training principles. Sure, the big lifts are a great way to create progressive overload, but they’re not the only way. Resistance exercise is just a way to put force across joints. That’s it! When you understand this, you quickly see that no particular exercise has magical powers because barbells, dumbbells, cables, machines, and bands are all just different tools that allow us to apply force across joints. That includes bilateral and unilateral training, too. Neither is magical and both should be used to elicit specific training effects. The lesson: Forget about your emotional attachment to certain training methods or going by what some guru says. You can’t deny the principles of specificity and overload. 2 – You should be adding plates every week! Due to the adaptive properties of the human body, the principle of progressive overload will only take you so far. This is because everyone at some point within a training program reaches a plateau where they’re unable to keep progressively overloading the same exercises. This is where applying the “principle of variation” comes in. In general, depending on how often you train each week, change your training program every 3 to 5 weeks. This usually involves changing the exercises in the program and or modifying the order of the exercises. This gives the body enough time to adapt, but usually isn’t a long enough training period for the program to become boring, stale, or no longer beneficial. The lesson: Focus on using the same basic movements – pushing, pulling, lower-body, etc. – but in slightly different ways through the use of different exercise variations. 3 – Just get strong! The common advice to “just get strong” is really just another way of saying to focus your training around the big lifts. Many coaches who say this are basically just training everyone like powerlifters. Let’s say that you have two guys in a gym, Tom and Harry. They both train with weights and are in great shape. Tom sticks to the big basic lifts while Harry prefers to use other exercises. Tom of course has a bigger squat and deadlift than Harry because Harry doesn’t train those exact same exercises. So who’s stronger? What if the task was to climb up and down a rope using only the hands? And let’s say that Harry is an avid rock climber and adds climbing elements into his regular weight training. Well, Harry is going to zip up that rope. Tom is going to struggle. Strength is domain/task specific. The further an exercise gets away from replicating the specific force-generation and neuromuscular coordination patterns of a given movement, the less directly it carries over to improving the force-generation and neuromuscular coordination of that specific movement. This means field, court, and combat athletes, as well as athletic-minded folks, should incorporate a wide variety of exercises to help them improve their functional capacity (their range of ability) by developing strength in various movement patterns, directions, and body positions. For these athletes, the conventional barbell deadlift, squat, and bench press aren’t simply exercises; they’re tools in a box that also contains many other tools to help them achieve their goals. 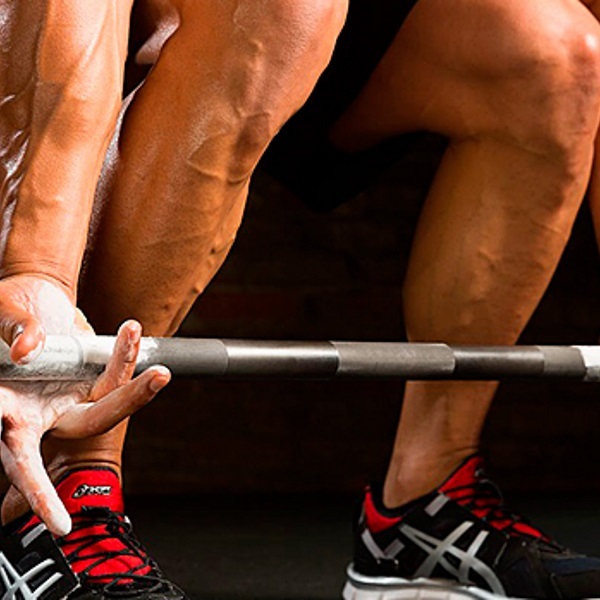 To powerlifters, however, the conventional deadlift, squat, and bench press aren’t tools – they’re events. It’s disappointing that this difference goes unacknowledged by so many coaches, trainers, and gym goers. As a result, they fail to apply the principle of specificity. The lesson: Keep the principle of specificity in mind. Different training goals require different training approaches. No single training approach can address all demands. 4 – The strength gains newbies make are just neuromuscular. Many believe that the strength increases of beginners are purely due to nervous system adaptations. Well, it’s definitely true that beginners make rapid strength improvements as their brains learn how to engage their muscles more effectively and efficiently. The lesson: While neuromuscular adaptations play a part in the strength increases, so does actual hypertrophy. 5 – The better the lifter, the better the athlete! Out of the top five bench press records in NFL Combine history, only one player, Brodrick Bunkley (Florida State, 2006) became a remotely successful player. Not many recent Combine stars have become good NFL players. Seventeen of the 128 best Combine performers in the last 16 years went undrafted. Twelve of them never played in a game. Forty-three weren’t in the NFL last season. Ninety-five have started less than half of regular-season games. Out of the ten greatest NFL Combine performances in history, half the names on the list never panned out into even halfway decent players. However, the other half of the names on the list became superstars. All these athletes had “raw” physical ability, but what separated the zeros from the heroes was their ability to use that talent as a platform to express their will and skill to actually play the game. This is important to understand because a good strength and conditioning program helps you improve physical qualities that aren’t addressed by simply playing and practicing your sport. However, improving your physical fitness doesn’t make you a winner if you lack the skills required to play your sport. The lesson: Strength and conditioning gives you the physical fitness to do what you already know how to do. A good football player who’s strong and fast in multiple directions is better than a good football player who’s slow and relatively weak. DeFreitas, J.M., et al. 2011. An examination of the time course of training-induced skeletal muscle hypertrophy. European Journal of Applied Physiology 111 (11): 2785-90. Seynnes, O.R., et al. 2007. Early skeletal muscle hypertrophy and architectural changes in response to high-intensity resistance training. Journal of Applied Physiology 102 (1): 368-73.